Scott Moore is leaving Sportsnet as of the end of October to pursue his "next personal challenge"
After eight years at Sportsnet, Moore is moving on. According to company sources, Moore had recently begun discussing his departure from the company. 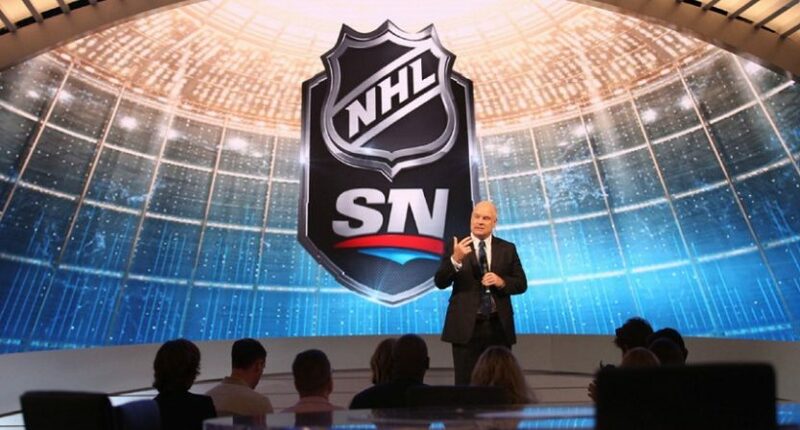 He felt Sportsnet’s hockey ratings were in good shape now that the Toronto Maple Leafs and Winnipeg Jets are serious contenders and wanted to explore new challenges. Rogers is expected to announce Moore’s resignation this afternoon. No successor will be named immediately, and Rogers Media president Rick Brace will assume Moore’s duties while a search for a new president is conducted. “I’m so proud of what our team has accomplished. We have exceeded my goals, and it’s now time for me to explore my next personal challenge. In the meantime, I’m looking forward to a little down time with my wife Becky. Sportsnet is in a great place for future growth with all our platforms and I will be cheering on the team from the stands,” said Moore. The jury’s still out on whether the NHL deal will ultimately prove successful for Rogers. They saw major ratings struggles early on, and it particularly hurt when all the Canadian teams missed the postseason in 2016 (they still insisted they were making a profit, but that’s partly thanks to their rights fees starting low and escalating over time, not being an average each year). But the 2016-17 season saw a regular-season rebound (the opposite of declines in the US), and five Canadian teams made the postseason that year, helping the Sportsnet cause. And while only two Canadian teams made the playoffs last year (Winnipeg and Toronto), the Jets made a run to the conference final, and the Leafs’ presence (even if only for one round) also boosted the ratings. This deal is so long that it’s hard to draw conclusions on it overall yet, but it’s safe to say it’s in better shape than it looked to be early on. There are some other notable things to discuss with Moore. One move he made that looks particularly smart was offering a complete over-the-top Sportsnet package back in April 2016, two years before ESPN+ (and it’s much more comprehensive than ESPN+, allowing access to their TV content without a cable subscription).That helped establish them in the market long before streaming-only services like DAZN popped up, and it gave them a head start on competitor TSN (which launched its own TSN Direct service this June). But there are some moves Moore made that are questionable. Some of those came on the personnel side, including suddenly parting ways with NHL production head Gord Cutler ahead of the 2016 playoffs, continuing to promote Don Cherry long past his best-before date, and letting George Strombopolous go (which prompted Keith Olbermann, a friend of Strombopolous, to call Moore “the stupidest executive I’ve yet encountered“). Some came on the journalism side, where he drew fire after telling AA they were going to focus on hockey’s stars, not its business side, where then-NHL COO John Collins told AA “One of the things we like about the Rogers relationship is how much they talk about and respect the NHL brand and our ability to work together to kind of shine up that shield and support us,” and where Moore created controversy this year with a memo seemingly promoting uncritical coverage of the Rogers-owned Blue Jays. And some came on the viewership side, where there have been plenty of complaints about Rogers’ hockey coverage (both in-game and outside of games). It’s going to be interesting to see where Moore goes next. He’s already had one of the biggest jobs in Canadian sports media, so maybe he’ll look to the U.S. now, or maybe he’ll be leaving the media game for a different job opportunity. We’ll see how that all plays out. But he’s certainly made a major impact on the Canadian landscape, with the NHL deal and more. And it will be worth keeping an eye out for what he gets involved with next.